Can you identify this cichlid? 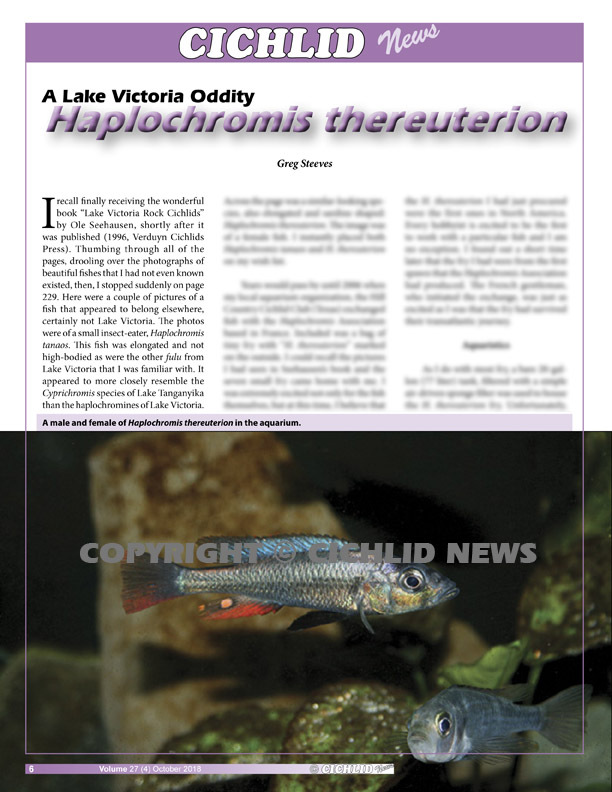 Haplochromis thereuterion by Greg Steeves. 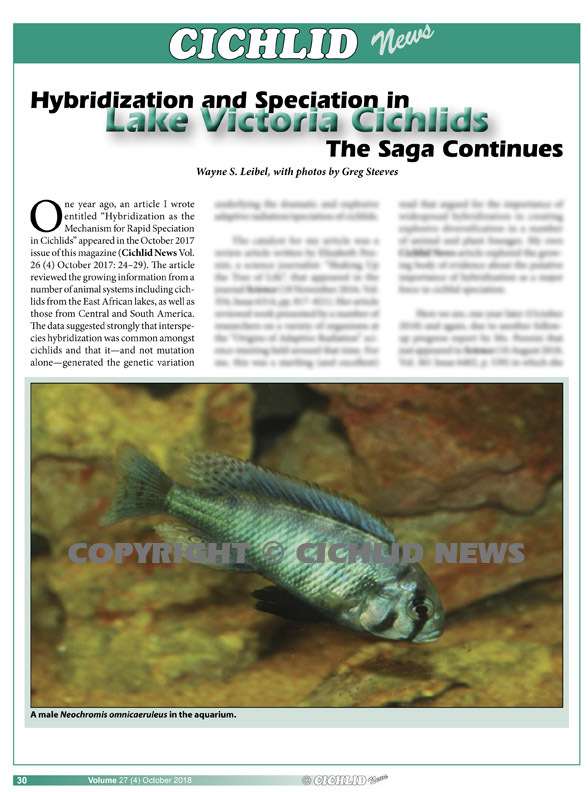 Lake Victoria’s unique cichlid oddity. 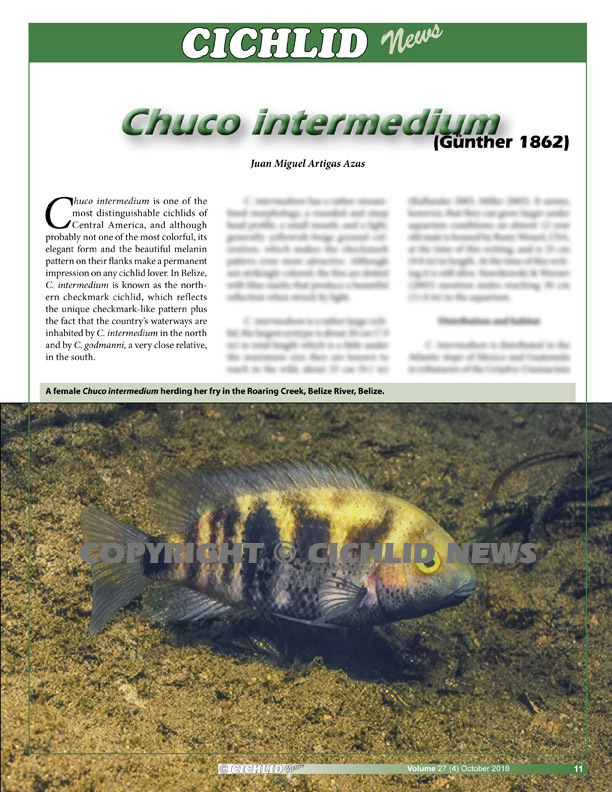 Chuco intermedium by Juan Miguel Artigas Azas. 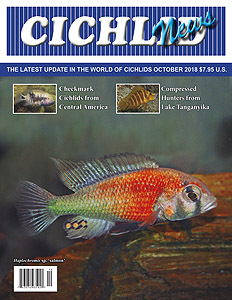 The Checkmark Cichlid from Central America. 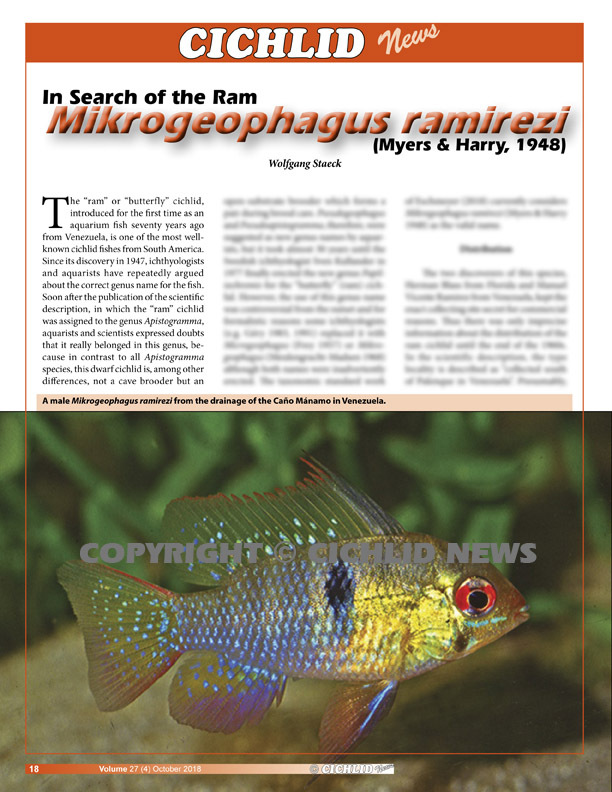 Mikrogeophagus ramirezi by Wolfgang Staeck. In search of the “Ram” and its wild origin. Altolamprologus compressiceps by Ad Konings. 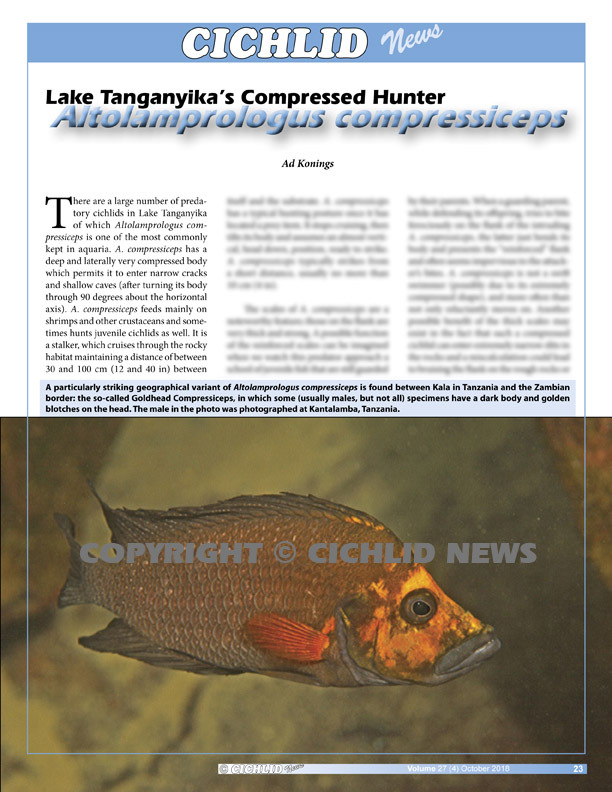 Lake Tanganyika’s compressed hunter..
What’s New by Laif DeMason. Recent arrivals from around the world. Editor's Note: This issue is still available. Copyright© 2018 Aquatic Promotions, Inc. All rights reserved.